Don’t ignore the LinkedIn news feed! 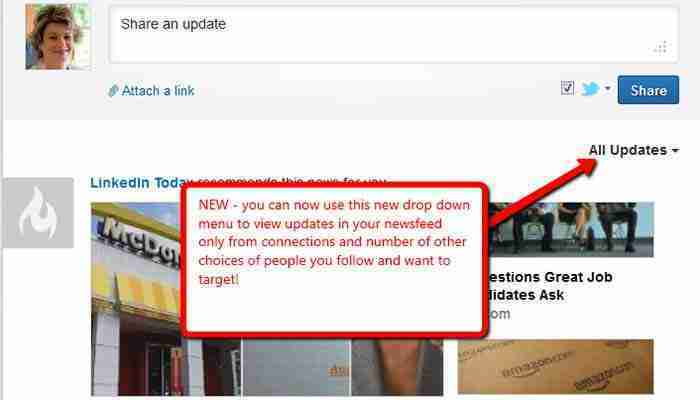 With the new UPDATE drop down in your LinkedIn settings, you can customize what you see in the news feed and thus have the opportunity to comment and connect with those in your network. Remember, LinkedIn is for networking not for collecting a bunch of names! You have the options to choose just who can see the latest activity on your profile and prevent some items from showing up in your feed. You have control over how your news feed shows potential contacts. While it can be fun and rewarding to watch activity feeds from a member’s profile, you have a ton to gain when you follow your own Recent Activity. You many not find LinkedIn activity showing up every day. One reason could be that your or another member may have their Recent Activity settings set to private. By observing your recent activity on your LinkedIn profile, you can learn more about possible new connections and just who may have a budding interest in your business services. It’s key to use a professional image in your LinkedIn profile. First impressions are lasting, and prospective new contacts will judge you within seconds when they view your LinkedIn profile. Save your casual more off-beat pictures for more suitable social media platforms, like Facebook and Twitter. The best LinkedIn profile pictures are professional looking and inviting. I prefer a headshot focusing on your “happy” face. Your profile will be aligned with your business so you want to present a consistent, professional image rather than using an avatar, caricatures, or other images that aren’t what you want for displaying the image you’re establishing for you and your business. If you need help adjusting your activity settings, call LinkedIn for Business. Ask for our hands-on consulting service to show you just how to best watch your LinkedIn News Feed For contacts. You can reach me at (951) 902-3263. 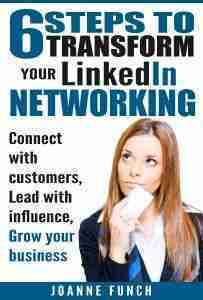 I am passionate about helping business thrive by better utilizing LinedIn’s news feed.